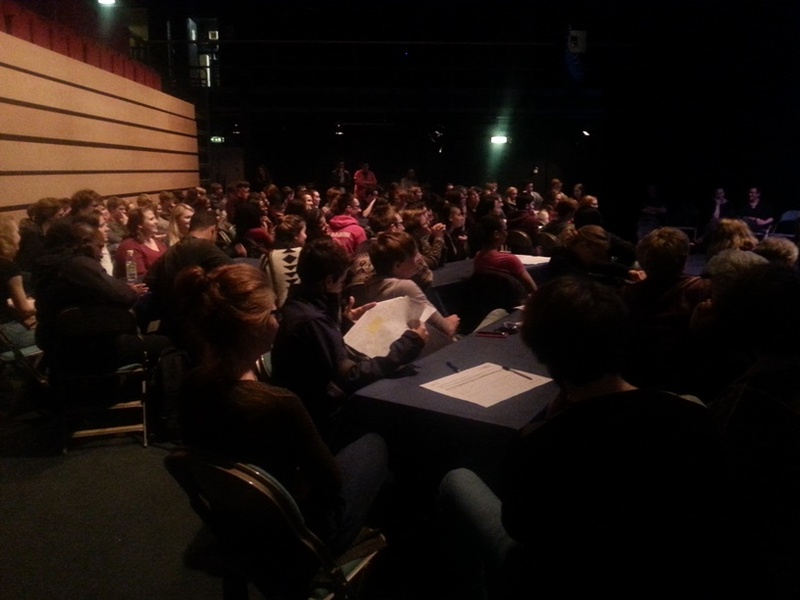 The School of Arts held its first ‘Opportunities and Networking’ event for students across the subject areas of Music and Sound Recording, Theatre, Dance, Digital Media Arts, and the Guildford School of Acting, in the Ivy main auditorium, Ivy Arts Centre on 8 October 2015. 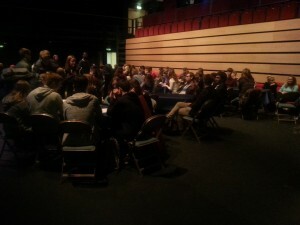 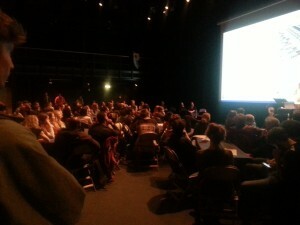 Over 100 students were in attendance. 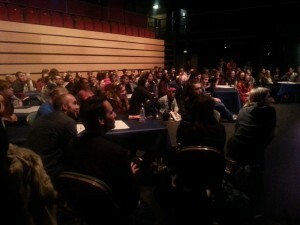 Hosted by Chris Wiley, the meeting included contributions from School staff including Alan Haigh (the instigator of the event), Gráinne Byrne, Kirk Woolford, and others, as well as MA Creative Practices & Direction alumnus Ashley Walsh, who offered some valuable student perspectives on collaborative activity in the School of Arts. 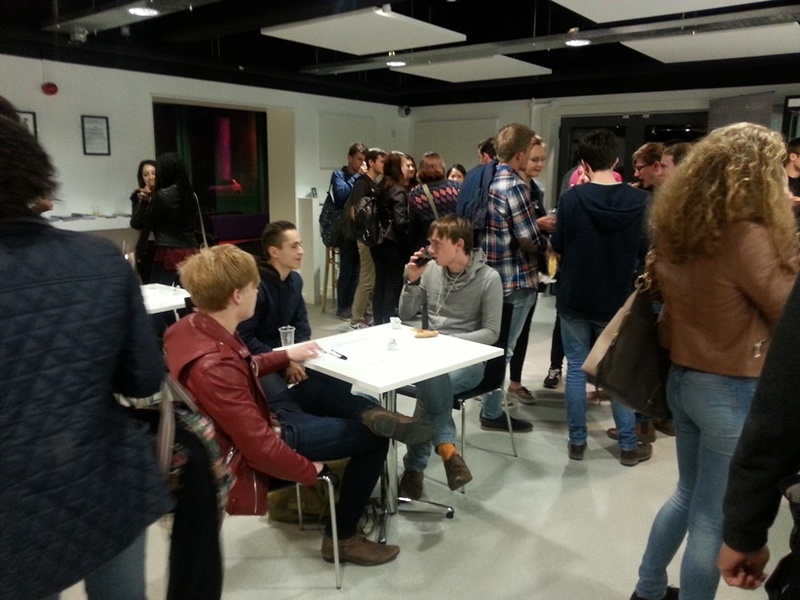 The evening ended with a series of networking activities designed to enable students to meet one another and to discuss their interests in collaborating on arts projects, followed by more informal opportunities to chat over pizza and soft drinks. 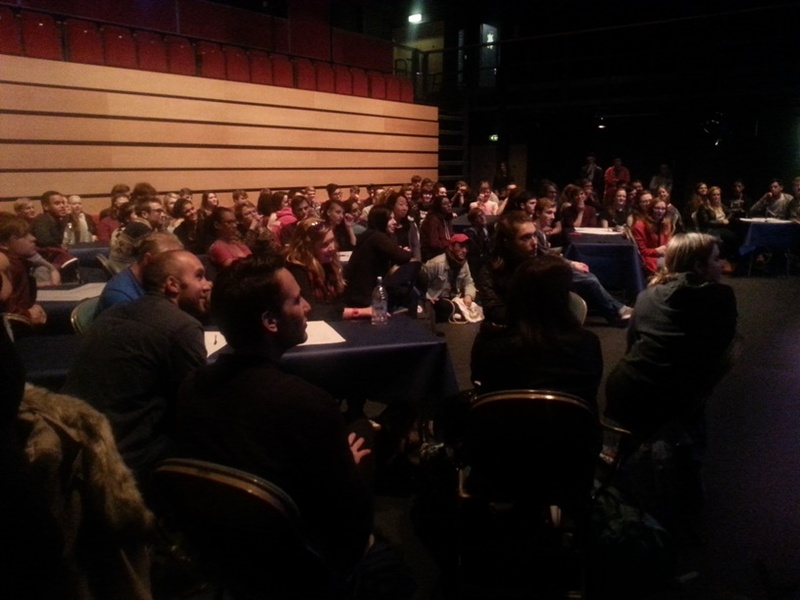 This ‘Opportunities and Networking’ event followed in the footsteps of an equally successful and well-attended panel discussion on ‘Careers in the Arts’, hosted by the School of Arts earlier in the year.